Looking for a Sundance Spa Salt Lake City, Utah residents? Backyards of America is proud to carry Sundance Spas, the world’s largest manufacturer and distributor of acrylic spas. In fact, we’ve been a Sundance Spa in Salt Lake City, Utah Preferred Dealer for nearly 20 years! Stress from home and work can take its toll on you physically mentally and emotionally. From the energizing benefits of swimming, training, and aquatic exercise to the exceptional health rewards and relaxation of exercise and fitness, VitaSpa offers endless options of swim and fitness spas. Swimming has long been known as the ultimate zero-impact exercise and is widely prescribed by physicians for their patients who want to get in shape or tone their body. xStream™ employs an impressive water propulsion system that works in concert with its open floor plan design. Ray is an amazing salesman and person in general. He is always willing to walk you through and talk about all your options and features. Not bent on selling you the most expensive, but rather explain to you feature benefits without bashing the competition. Sundance Spas are incredible and the jets are the best I have sat in. I am now a proud owner of a Aspen Sundance Spa and I am confident buying it from Backyards of America will give me amazing service over the lifetime of the tub. Also they have a club you can join to give you 10% off of their chemicals which puts them on par with AMAZON and other big retailers. After looking for a spa at another store nearby, I stopped in to Backyards of America to look at Sundance spas. I purchased a spa from Bob and highly recommend stopping by before you buy a spa elsewhere and check out Sundance. Ray and Bob explained everything I needed to know as a first time spa owner. 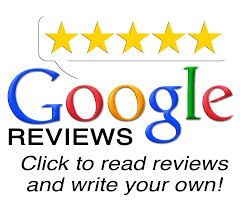 They referred an electrician who was very resonably priced and did all of our electrical work. The installers did a perfect job and made sure everything was 100% to my satisfaction before they left. Excellent company!! We bought our first hot tub from them 13 years ago. Due to heavy use and lots of debris our old hot tub needed to be replaced. We looked at two other companies in addition to Backyards of America. 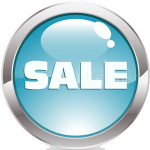 This company provided us with lots of information about the available tubs and their options. They took an interest in what our needs were for a hot tub. The salesman, Derek, was easy to work with, calm and very informative. There was absolutely no pressure to buy. It turned out that Derek also heads the installation team. He made a site visit before delivering the tub. The installation was smooth in difficult terrain. All three installers were professional. We highly recommend this company. I’ve bought at least 3 Hot Tubs from Ray at Backyards of America over a period of over 25 years. Honest people and fair with prices. I’d definitely recommend getting a Sundance Hot Tub from them. 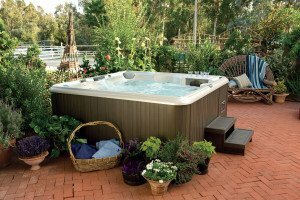 I have another home with a Bullfrog Hot tub and it has been ok, but the quality and design is not even close to the Sundance Hot Tub. These guys carry all the accessories and chemicals to keep your stuff maintained too. They have always been helpful to me when I have any related questions. I just purchased my first Sauna from them and it seems like a good product at a fair price too. I’d recommend at least talking to them before you make a Hot Tub or Spa purchase. I was shopping around for hot tubs and when I sat down with Ray he was very helpful with educating me on the products and brands. He helped me understand the Pros & Cons of all the manufacturers I was looking at. As I got looking at the Aspen from Sundance Spas I was very impressed with the quality and features. I am very happy with my spa.